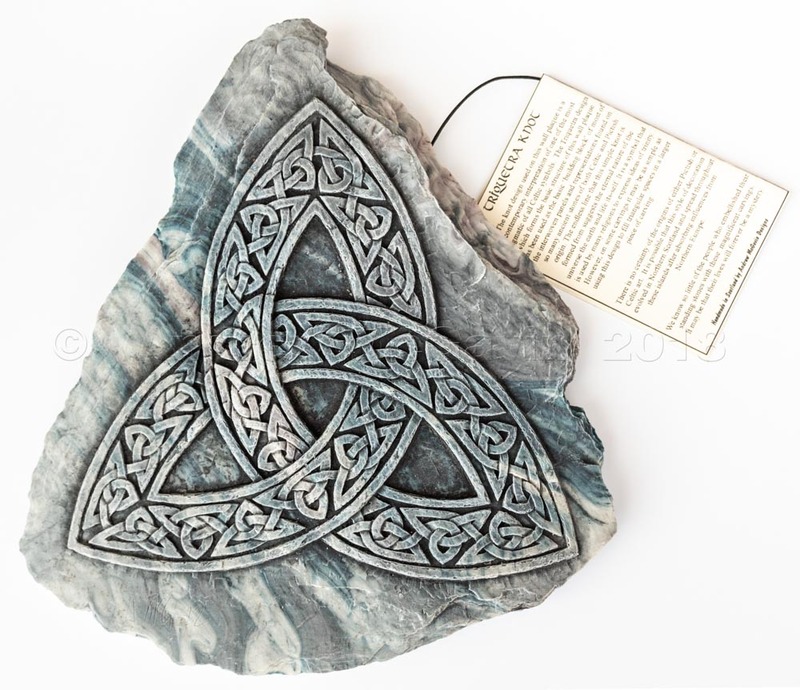 The design used on this wall plaque is a contemporary interpretation of an ancient Celtic knot which is found carved on many stones from Scotland's ancient Celtic past. The endless line that forms this simple knot suggests the eternal nature of the universe, the earth, and of life its-self. The Triquetra is a symbol that is used by many religions to express ideas of Trinity.